These products are custom packed and usually ship in 3-5 business days. Minimum classroom pack size: 10 students. For classes larger than 30 students, please edit the total quantity in your shopping cart. 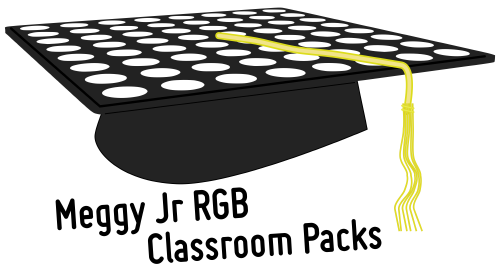 Meggy Jr RGB kits are now available in Classroom Packs! 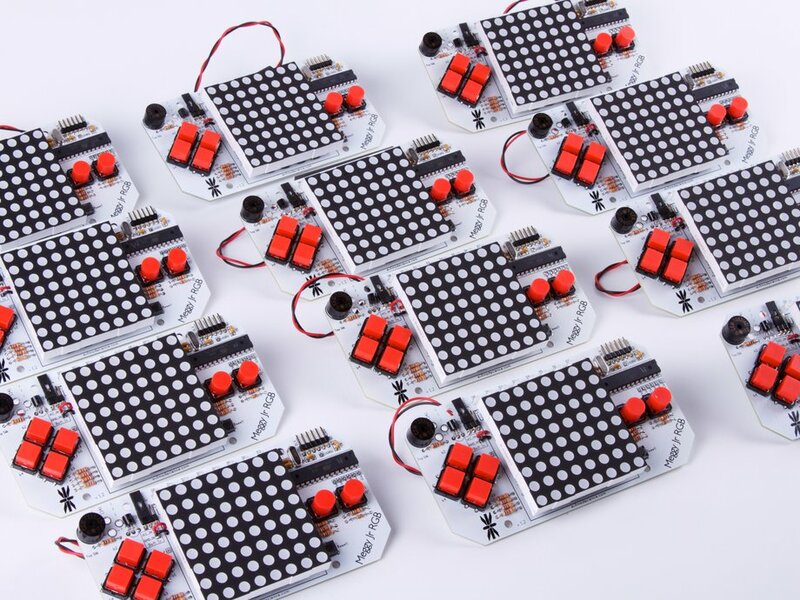 Classroom packs are discounted, bulk-packaged kits to build larger numbers of of Meggy Jr RGB kits. 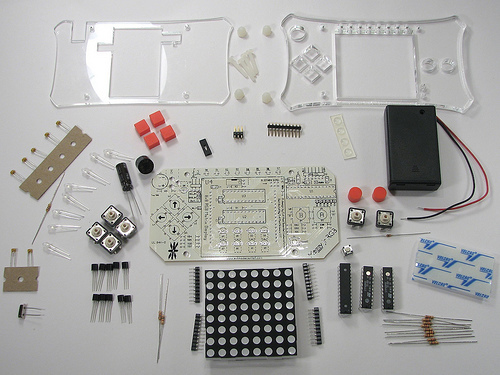 Perfect for schools, specialized soldering or programming classes, summer camps, electronics clubs, or hacker spaces! All parts needed to build n working Meggy Jr RGB units. Circuit boards, preprogrammed microcontrollers, LED displays, buttons, and all other electronic components to build n Meggy Jr RGB units. Handle sets: n+1 sets (n+2 for 20+ students) of basic handles in assorted colors. 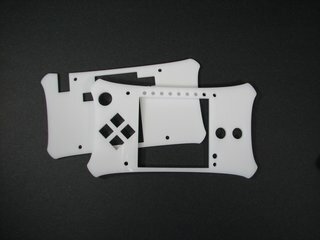 Spare parts: A few extras of the small parts that are easy to lose and/or break. 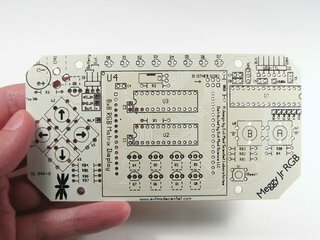 One printed Meggy Jr RGB assembly guide (full color). 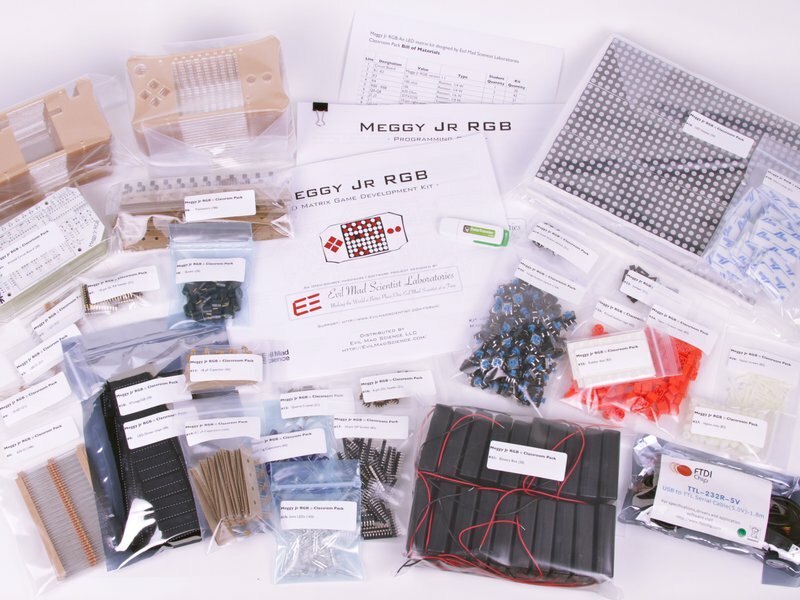 One printed Meggy Jr RGB programming guide (full color). A classroom-oriented bill of materials, indicating how many of each part to count out for students. One USB-TTL programming interface (either FTDI Friend and cable or USB-TTL Cable). One USB flash drive, preloaded with the Meggy Jr RGB downloads. Additional USB-TTL interfaces for reprogramming the completed Meggy Jr RGB units are sold separately. 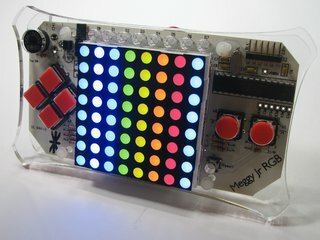 Meggy Jr RGB is designed to run on batteries and classroom packs come complete with battery holders. 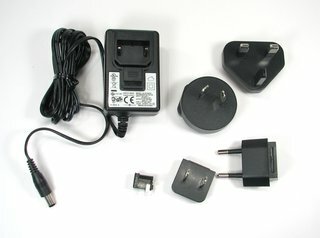 You can also power Meggy Jr with an energy-efficient wall-plug AC adapter, 4.5 - 5 V DC, regulated, 600 mA+. These adapters are sold individually. Two versions are available: one for US/Canada, and an international multi-plug version that comes with four separate plugs. Both versions come with the appropriate power jack to solder onto the Meggy Jr circuit board. 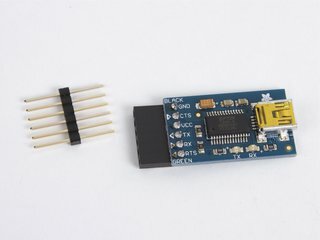 An Adafruit FTDI Friend with cable or FTDI model TTL-232R-5V converter cable can be used for programming Meggy Jr RGB, Peggy 2.0, and many other Arduino compatible devices through the Arduino programming environment. 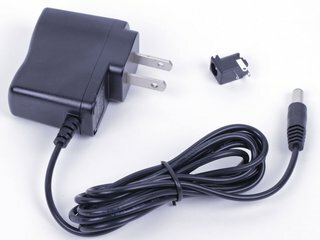 One end of the cable fits into the USB port on your computer, and the other end has a 6-pin header socket that hooks up to the Meggy Jr. This is a "smart" converter that includes the USB interface chip. Sold individually. 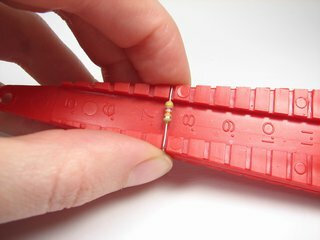 Handy high-productivity tool for making neat bends in the leads of your resistors when assembling kits. Read more about these here. A popular accessory for building Meggy Jr RGB. Sold individually. 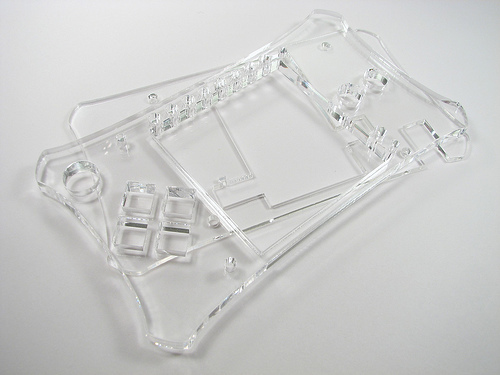 Complete individual Meggy Jr RGB kits are also available separately. Please contact us if you need any assistance from our end in navigating the purchasing procedures of your school or organization.